Mountain lion found Tuesday, June 6 on the Morning Gloria Trail on Emerald Mountain. 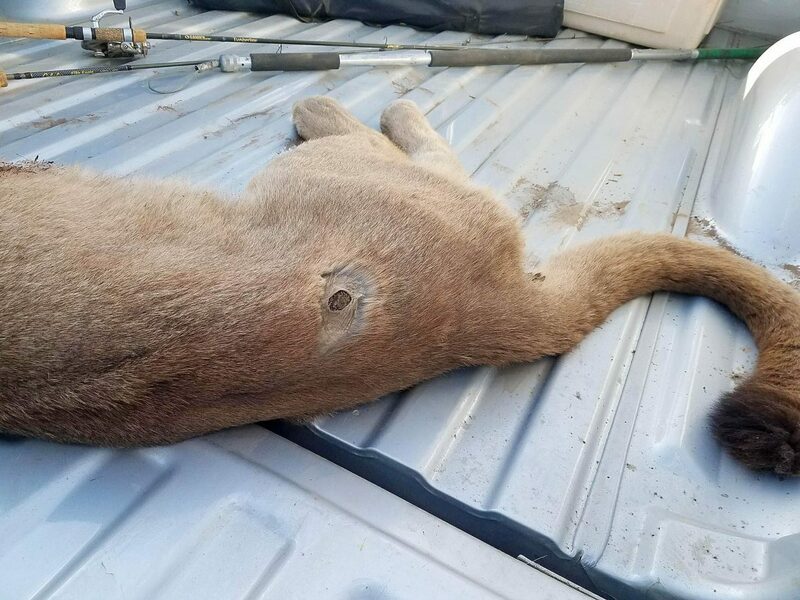 STEAMBOAT SPRINGS — Tests have confirmed how an Emerald Mountain lion got sick to the point where it had to be euthanized. The lion was found June 5 on the Morning Gloria trail, where it was biting at vegetation and sticks nearby but did not try to get up and was unresponsive to human presence or stimulation. A necropsy report conducted by Colorado Parks and Wildlife’s Wildlife Health Lab indicated the 1- to 2-year-old female mountain lion was suffering from a neurologic disease. The stomach was full of large-diameter sticks and twigs as well as grass and other plant material. Hemorrhages were found in the lion’s brain, which could have been caused by a bacterial infection. There was also inflammation of the heart muscle, according to the report. After the lion was euthanized, a wildlife officer noticed it had a two-centimeter wound on its right hip, but there was no evidence of a gunshot. It is believed the wound on the hip got infected, and the infection spread to other parts of the body. The findings for this case were classified as unusual, and other causes of disease were considered. The animal tested negative for rabies, plague, feline immune deficiency virus and exposure to pesticides and insecticides.